By Ashutosh KS in Mobile. Updated on January 12, 2018 . PDF is an easily accessible file and one of the most common forms of documentation. You can read anything from text-heavy manuals to documents with bulky images through PDF. 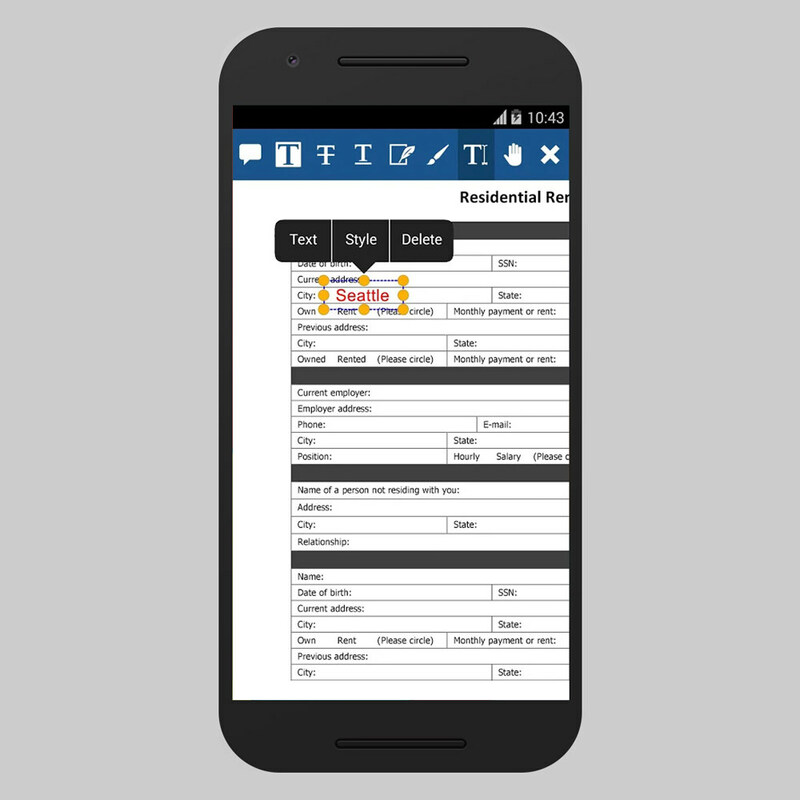 And to use PDF files on the go through your smartphone or tablet, all you need is a good PDF app. So for today’s post, I bring to you the best free PDF apps for mobile devices. These PDF apps do more than just open files, and provide a variety of navigation, annotation, and cloud storage functions with a full spectrum of document features. Adobe Acrobat Reader is a multi-functional app, with which you can view, annotate, and print PDFs. This mobile app allows you take pictures through the camera on your phone and save them directly to a PDF. What I liked more is, it can connect to Dropbox and Adobe Document Cloud, letting you access your documents wherever you go. Moreover, you can view encrypted and password-protected PDF files as well. Some of its additional features include editing, signing, and converting PDFs to Word, Excel, PowerPoint, or RTF files. However, conversion feature is available for paid subscribers only. Librera is a full-fledged e-book reader that supports numerous digital book formats along with password-protected ones. Some of the supported files are EPUB, DjVu, RTF, HTML, and XPS. What fascinated me is its integrated voice reading capability, which can read aloud stories for you like bedtime stories. 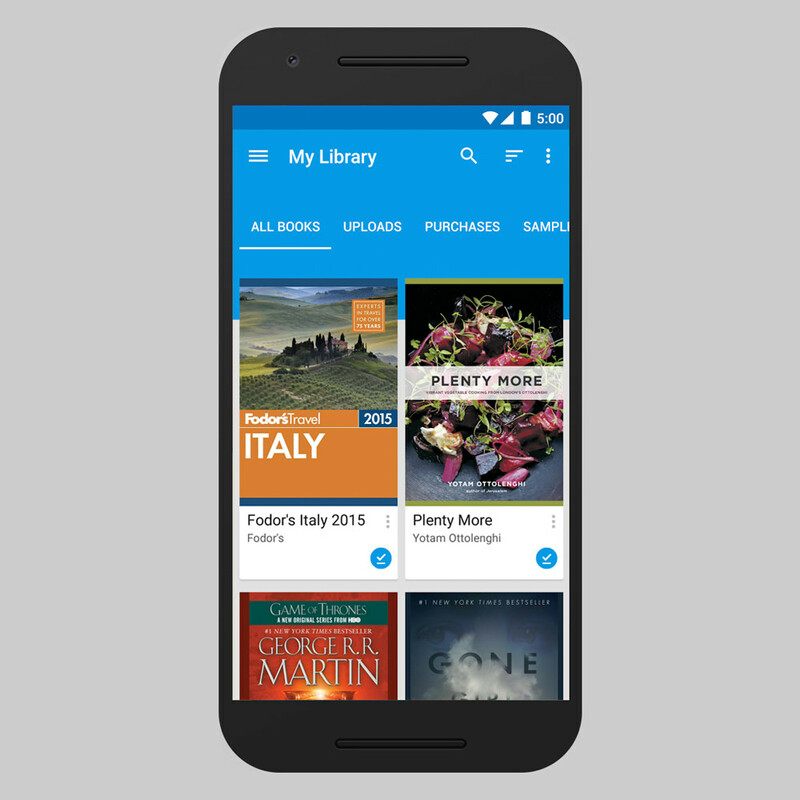 Google Play Books is the Google’s version of Amazon Kindle – a service for subscribing to and reading books. It lets you read and access your PDF and EPUB files. You can also change the font, personalize the display, and enable night-reading mode to experience a remarkable reading time on mobile. Though its PDF features are limited unlike some other apps on this list yet it is a great app for reading books online as well as viewing PDFs stored on your device. Along with its superb features, it also supports VoiceOver feature in its iOS app. 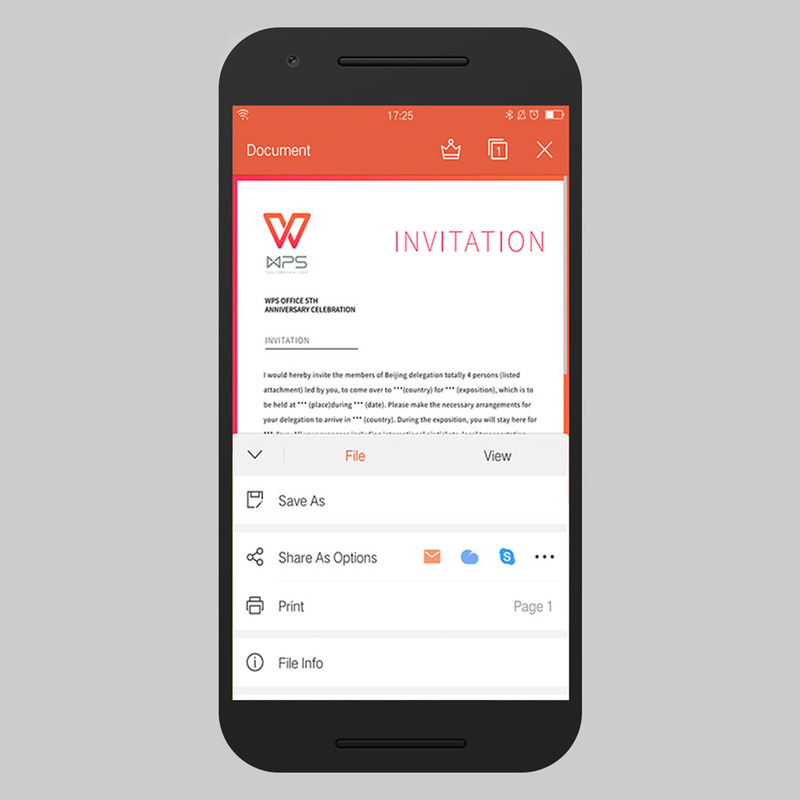 WPS Office is an all-in-one office app suite including a PDF Reader, Editor, and Converter. Just like Adobe Acrobat Reader, you can take pictures from your mobile camera and save them to a PDF. Moreover, this app also allows creating PDFs using Word, Excel, PowerPoint, and text files, add bookmarks, and view annotations. You can also add electronic signatures as well as merge, split, or extract PDFs. Its also allows you to sync your files using Dropbox, Evernote, Google Drive, OneDrive, and Box, allowing you to view them on any device. Office Suite is an office pack like WPS that includes a PDF reader as well. Its reader lets you view PDFs and convert them to Word, Excel, or ePub files. It can scan physical documents and save scanned photos to PDFs. However, it avails many more features in its pro version, such as advanced security options, data sync across multiple devices, etc. You can share the files through cloud services like Dropbox, Google Drive, OneDrive, Amazon Cloud Drive, and SugarSync. Moreover, it comes with more features like annotation viewer, permission management, and sharing using Bluetooth and more. PDF Viewer lets you read and manage PDF files. You can quickly search for your files, edit them, and access them right from this app. It also allows you to add bookmarks to the PDF files as well as rotate, split, or resize pages. Along with its easy-to-use interface, it brings straightforward features for using PDFs. Its multi-window support and mobile optimizations provide superior experience on mobiles and tablets. In its iOS app, you can also work with and sync iCloud documents. Polaris Office lets you work with multiple document types like WPS and Office Suite. Its PDF reader has features like adding annotations to files and converting files to PDFs. Also, it features a robust search option for finding PDFs using filename or some content within the files. You can sync your files using supported cloud services including Dropbox, Google Drive, etc. Its office plans include a whole spectrum of features and bring support for Polaris Drive – its cloud solution for hosting and sharing files. 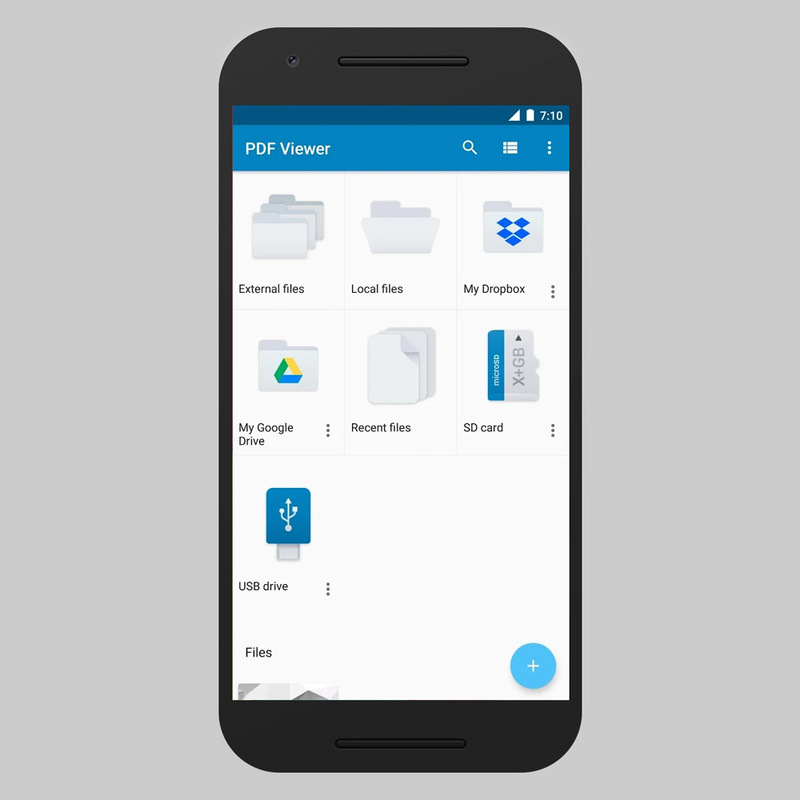 Google PDF Viewer is another simple app for viewing PDFs. 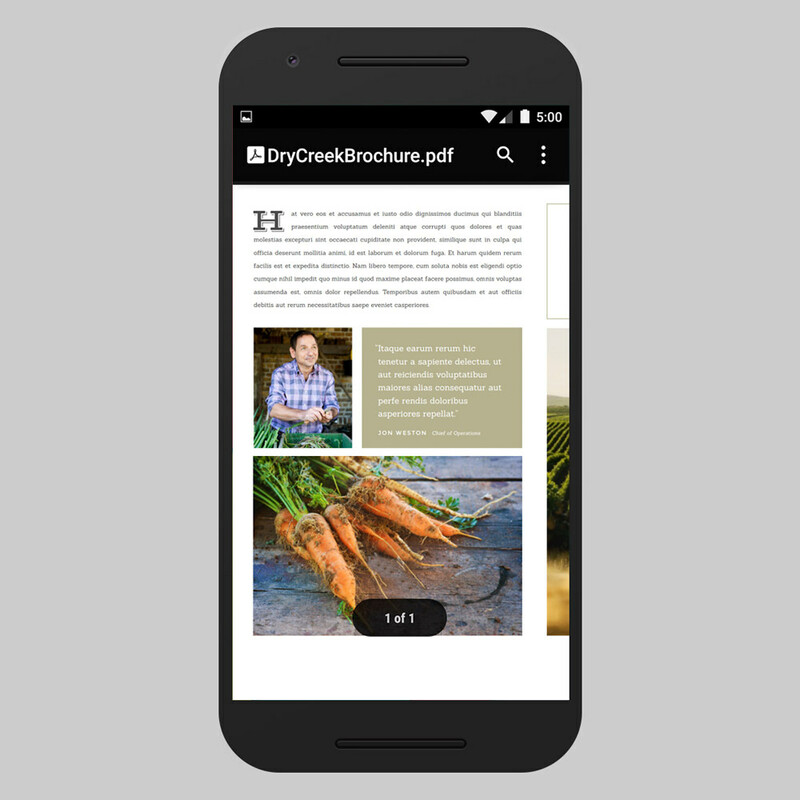 Though the PDF features are directly accessible through Google Drive app but you can also have this standalone app if you do not need or have the Drive app. 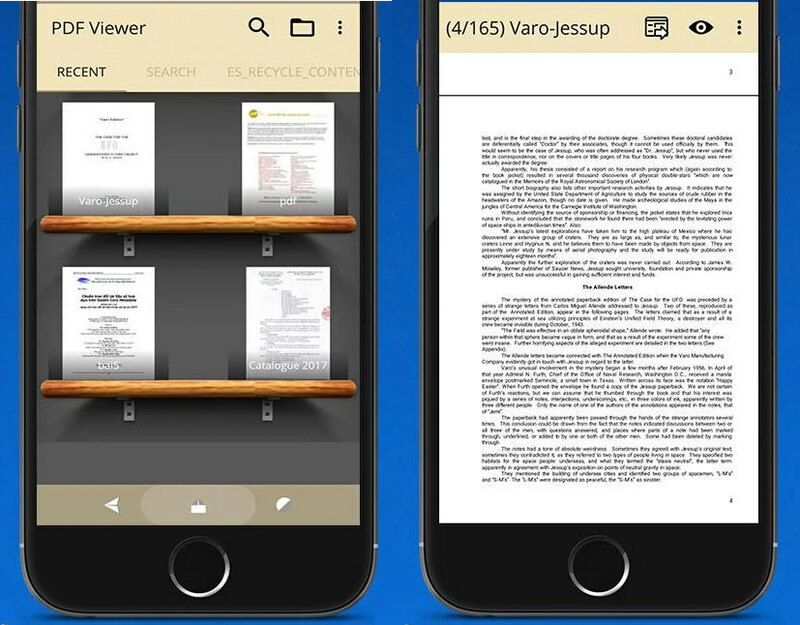 This app lets you search, view, print, and copy text from your PDF files on the go. 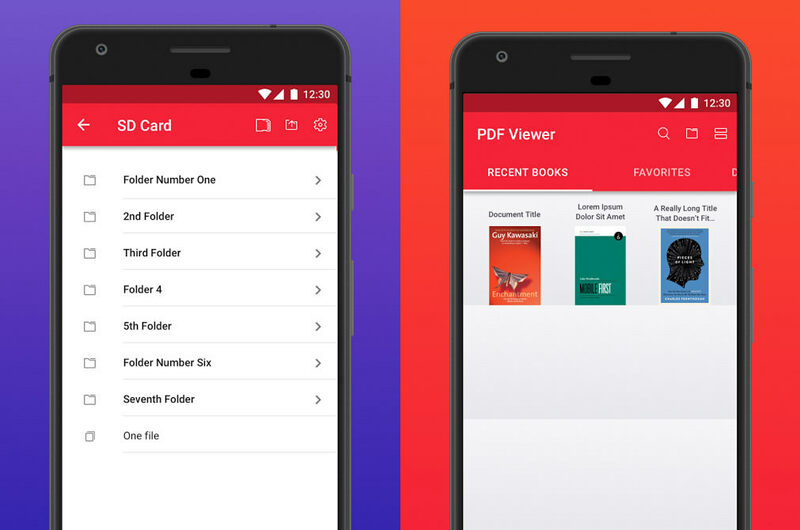 However, you cannot launch or access PDF Viewer from the launcher, but it opens up automatically whenever you try to open a PDF file on your mobile device. 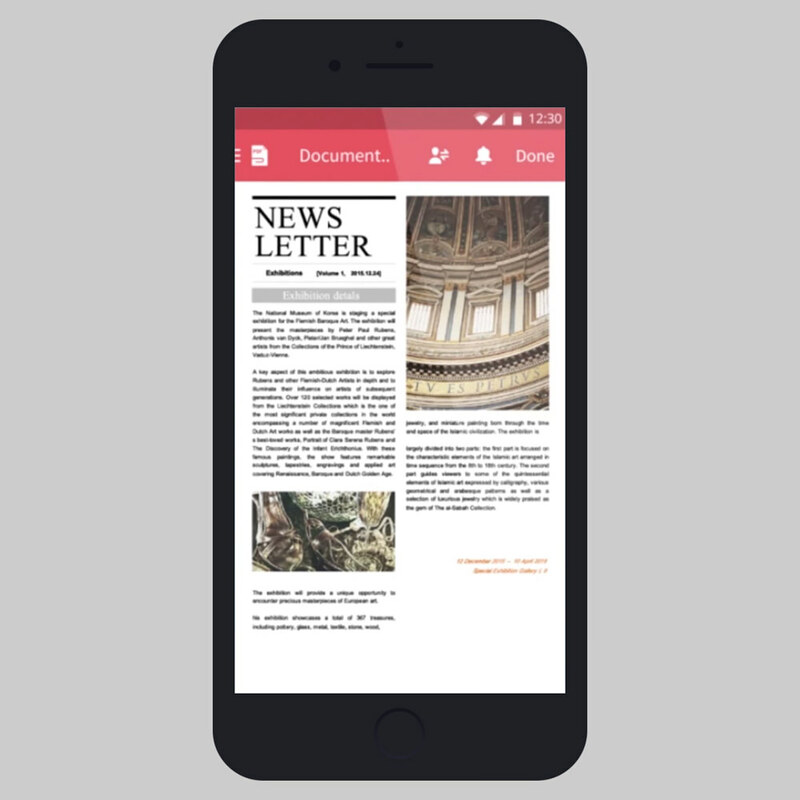 Xodo comprises of a PDF reader as well as a PDF editor optimised to work on mobiles, letting you read, share, and annotate in real-time as well as fill forms and sign documents. Thanks to its annotation features, it allows you to jot down points, underline, and highlight text on PDFs. It can also open password-encrypted PDFs. What I found interesting is its ‘Xodo Connect’ feature, which allows you and your teammates to annotate a copy of a document in real-time without requiring sign-ups – using just their email addresses. Also, like other apps above, Xodo supports auto-syncing with cloud apps like DropBox, Google Drive, OneDrive, and more. Foxit MobilePDF boasts of ConnectedPDF – a cloud technology for PDFs. Thanks to it, this app features brilliant collaboration features like you can share files among colleagues, do connected reviews, get notifications for document updates, track document activity, etc. Moreover, it offers bookmark and search options for a better experience. Interestingly, it allows integration with Dropbox, Box, Google Drive, and OneDrive. You can also share files via Bluetooth, Evernote, etc. Furthermore, you can interconvert PDFs with Microsoft Office files, text as well as image files – right on your mobile. PDF Viewer & Book Reader helps you download, manage, and read PDF and eBook files on your mobile device. There’s an in-app file browser to browse and access the documents. Also, you can edit files and add bookmarks to continue from where you left off. You can also search for files through this small app. Its day and night reading modes and page view options help you read comfortably any time. Furthermore, you can access as well as sync documents through cloud services like DropBox, Amazon Drive, and Google Drive, and share the files through apps like Skype and Slack. 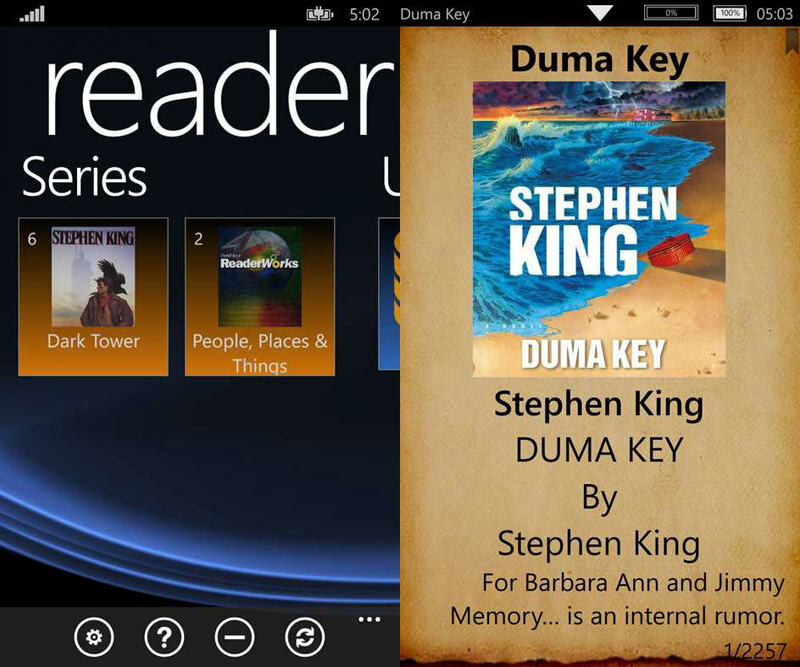 Tucan Reader is an e-book and PDF reader for Windows Phone devices. It is an easy-to-use app with various features for a superior reading experience like auto-scrolling, brightness control, day and night modes, and other page control options. 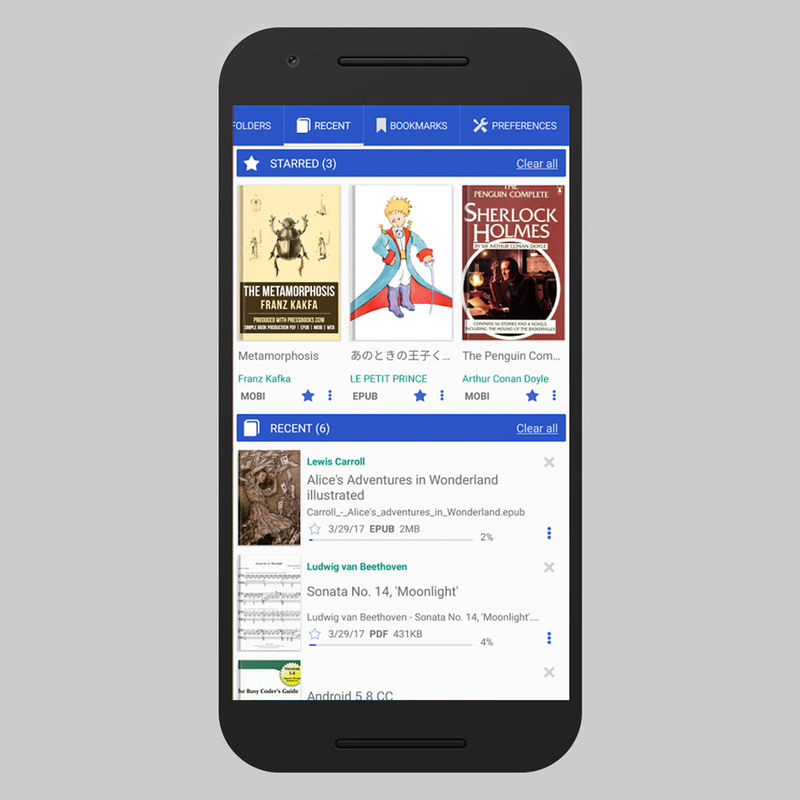 You can also add bookmarks, pin book covers, sort and group books, and do a lot more like prevent lock screen, search books, etc. What caught my eyes is its feature to select a text and share it to social networks or translate it using the Bing Translator. The app also supports downloading books from cloud services like OneDrive, Dropbox, and others. PDF Reader helps you to open and manage PDF files on your mobile phone. Its features include adding and exporting bookmarks, and creating PDFs using images, etc. There is also a built-in file search option to get files per your query. 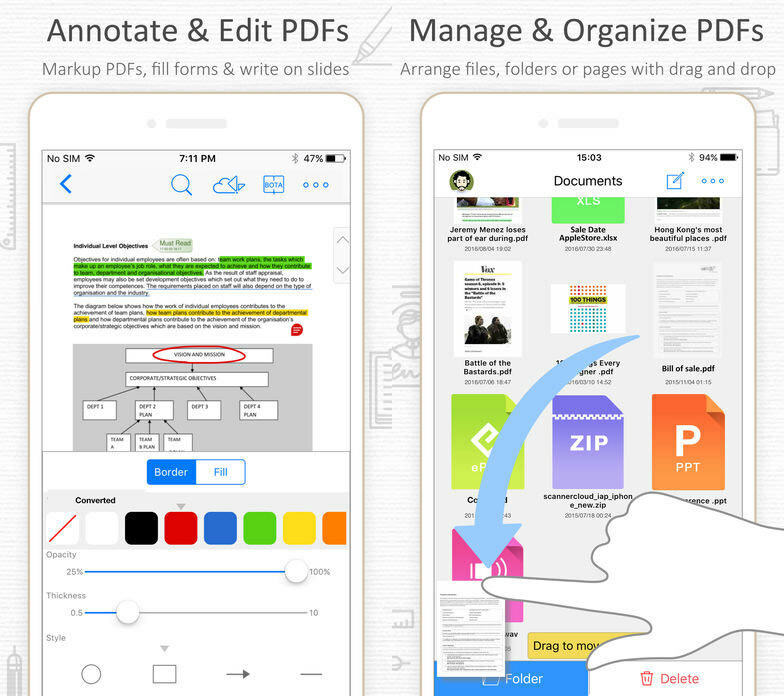 As with above apps, PDF Reader features annotation tools as well including highlighting, note-taking, and writing tools. Interestingly, you can manage and sign documents using this app and open compressed archives to read the archived PDFs. PDF Reader & PDF Viewer e-book is a PDF reader with an easy-to-use interface. It works fast and smooth while opening PDFs and supports many more e-book formats including XPS, DjVu, and Comic books. Moreover, like other PDF apps, you can create bookmarks, add highlights, and search for files using this simple app. 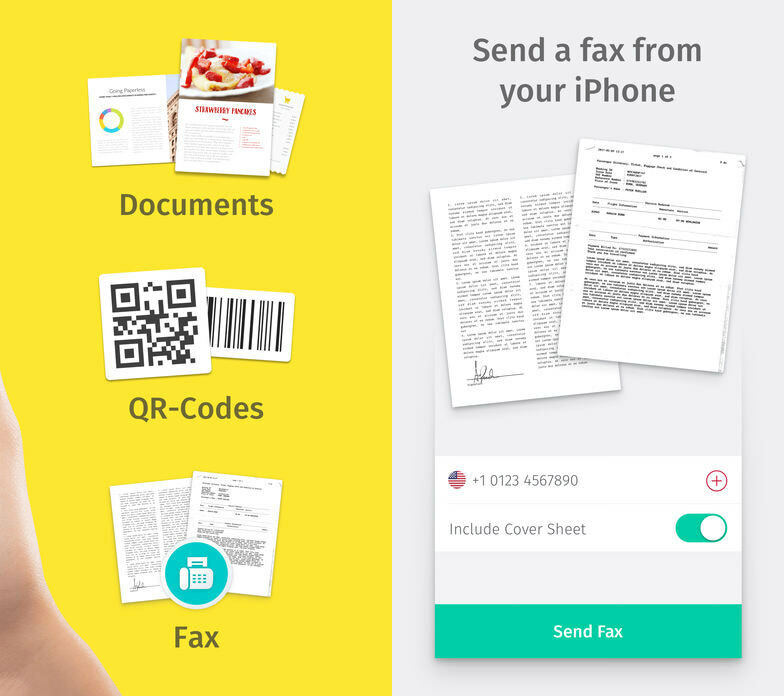 Scanbot is a document scanning app which also functions well as a PDF app. Its primary function is to scan documents and help you crop, straighten, or apply filters to perfect the scans and later save them as a PDF document. 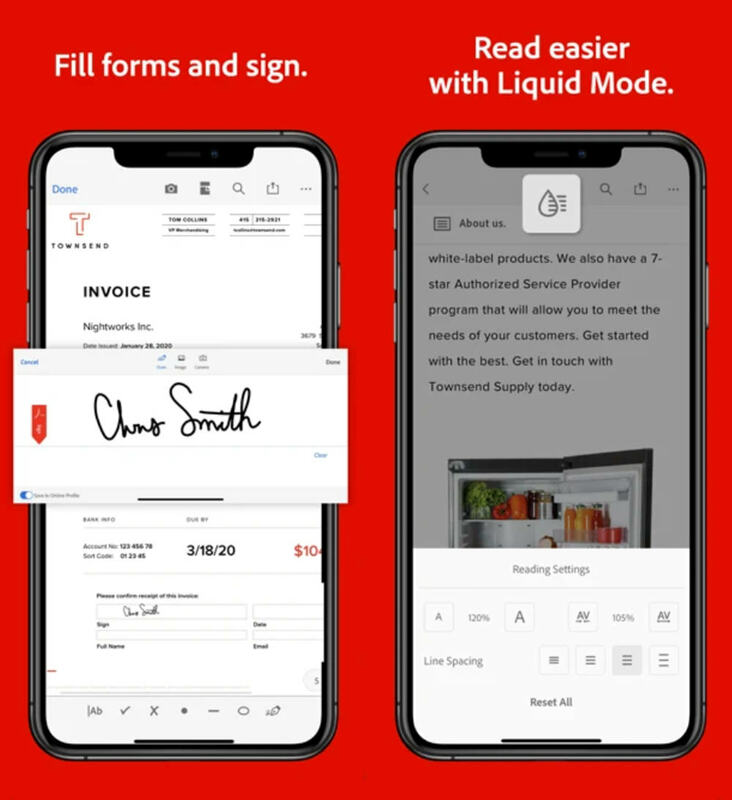 Some of its other features include a viewer and an editor that lets you view PDFs, highlight text, add notes to PDF files, and apply digital signature as well. You can also save your documents directly as images. Last but not the least, it also allows you to upload and share documents through cloud services and apps like DropBox, Slack, etc.